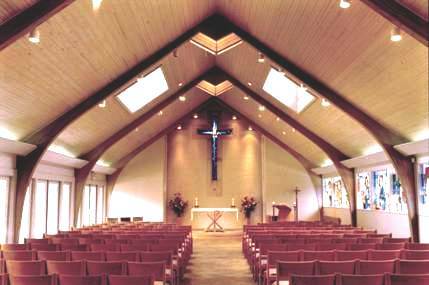 In 1995, Ron Siebler was privileged to work with the congregation of Saint Thomas the Apostle Church of Dallas, helping to construct a new place of worship. 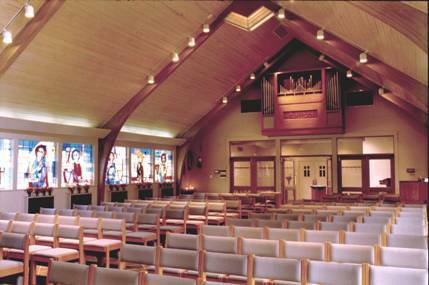 The narthex and sanctuary were created by de-constructing the interiors of the existing chapel and sanctuary, and combining them into one room. The new space was completely renovated with many special features, including a cathedral bead board ceiling, dormers, and stained glass windows. The work also included the design, construction, and installation a new oak cabinet for the pipe organ. 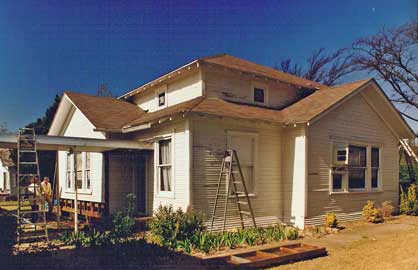 Working with volunteers from FUMC - Dallas, Ron supervised preservation efforts on the First United Methodist Church in Hutchins, Texas (Circa 1885). In 1985, the church was the location for the filming of "Papa was a Preacher". Rev. Bill Childers was the last full-time minister to serve the aging congregation. The church closed in 2004. Copyright © 2008 Ronald L. Siebler. All Rights Reserved.